We love a good dinner party! For each season, there are some very specific styles and decorations that we have been sharing. Let’s think warm thoughts and go with a summer theme today! 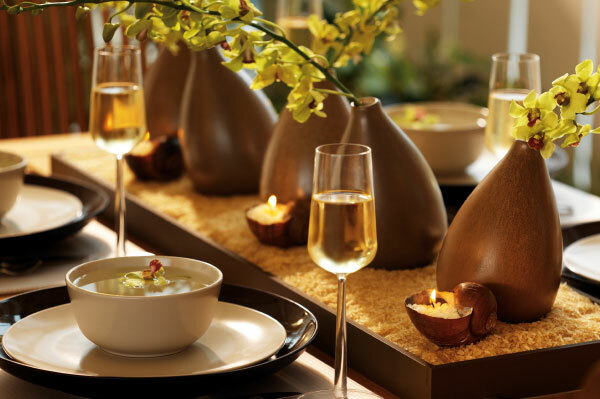 Serve a cool soup for starters, such as gazpacho, cold tomato soup, chilled cucumber soup or cold potato leek soup. Some delicious recipes can be found here. We love this idea, found here. 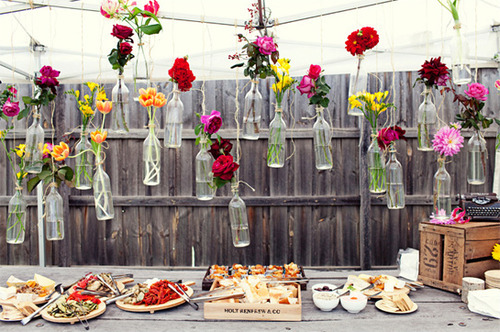 String cut flower blooms in empty glass bottles as decoration for your dining table. For decoration, use cool crisp styles and colors. 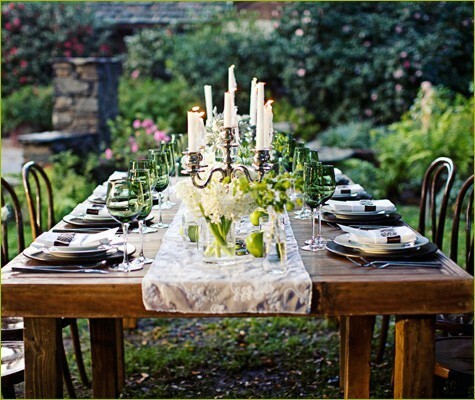 A natural wood table and fresh greens and ivories mark the table as summer fresh! We love this image, found here.